Join us for a special public tour, lead by a female tour guide dressed in period costume. Learn the importance the women played in the history of the Koreshan Unity Settlement. 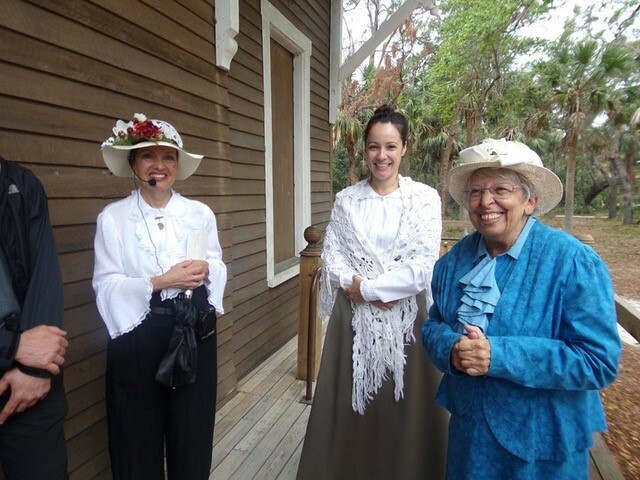 Visitors will meet women re-enactors at the Art Hall (Vesta Newcomb), Founders House (Victoria Gratia), and the Planetary Court (Etta Silverfriend). Tour is along the shelled pathways in the Historic Settlement Area, and last approximately 1 1/2 hours. Tickets are $10/person and can be purchased after February 10th online only at www.friendsofkoreshan.org.